The Mac menu bar contains icons for things like the status indicators and toggles of various apps, including a clock, date, time, battery, wi-fi status, sound and volume levels, displays, Time Machine backup status, user account, Spotlight, a Notifications toggle, and much more. There’s a lot of data and status details in those menu bar items of Mac OS X, and you can generally choose to order them or rearrange icons however you want. Do note that not all menu bar items can be moved, removed, or rearranged in the OS X menu bar on the Mac. Some items just can’t be moved at all, because they are system items. With that said, nearly every other menu item can be moved into a position you’d like, so if you feel like customizing the way your menu bar status items are arranged in the Mac menu bar, read on as it’s quite simple. You can move just about anything, except for Spotlight and some third party apps, which will stay stubbornly in place. This is a good alternative to just simply removing items, and is a nice minor customization for those of us who like to keep things as personalized as possible. Align all similar items by groups and functions, arrange by shape or color, get creative. Finally, you can also remove icons from the menu bar of Mac OS X with a command+drag trick, so if you want to ditch something, try that. Note that some third party apps require the application itself to be quit to remove the menu bar item, and some require a toggle setting to be adjusted in the app specific settings. Thus, if you can’t figure out how to get rid of a particular menu bar item in Mac OS X and the icon won’t move or remove, check that apps settings to find the solution. 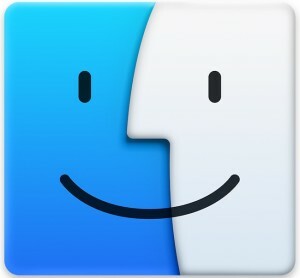 This works in all versions of Mac OS X system software, regardless of version or release. Actually, the only ones that move are ones developed by Apple. My menubar is populated with about 30 items from various applications. Only the Apple items are able to move about with the Command key. I’m assuming that this is because the 3rd party developers don’t feel the need to put in that functionality or it’s an undocumented call that only Apple has access to. @Dave: You are right. I cannot use this hint to rearrange 3rd party app. @Dave: It looks like 3rd party developers have access to this functionality, but not all use it. For example, I can’t move Dropbox, Canon IJ Network Scan Utility, nor Billings timers in the menu bar (which stinks because it’s all the way to the left – so I only see it when using apps with narrow menu options like Finder). I can move iStat Menus items though. I’m not affiliated with them in anyway, but they’re awesome – highly recommended. Plus it’s nice that they’ve gone the extra mile allowing them to be rearranged. This seems to be broken in Lion and Mountain Lion…is there a workaround for this? I would love to be able to rearrange them the way I like, escpecially for the system apps like BatteryTime. It still works at 10.8. Just push command key and move icons, remember that you can only move apple-icons like wifi, volume, battery etc.